This piece originally ran at wgte.org/jazz (site currently under reconstruction) to accompany an episode of the radio program Jazz Spectrum 91. “I think rock and roll is jazz, and jazz is classical music, and classical music has become rock and roll. They’ve all gone round one turn on the clock,” pianist and composer Carla Bley quipped in a 1972 interview with John Fordman. Her claim wasn’t that these genres were adopting traits of the others, but that the audiences that they served were beginning to shift, and by the early 70s the shifting was seismic. Experimental composers like Steve Reich and Philip Glass were becoming the new mavericks of minimalism. Rock and roll was siphoning off many of the hip youth that only jazz could have staked a claim to before. Rock was becoming a culture capable of absorbing a myriad of influences and transmuting that material to wider audiences. Jazz had already proved its grace in such musical synthesis. 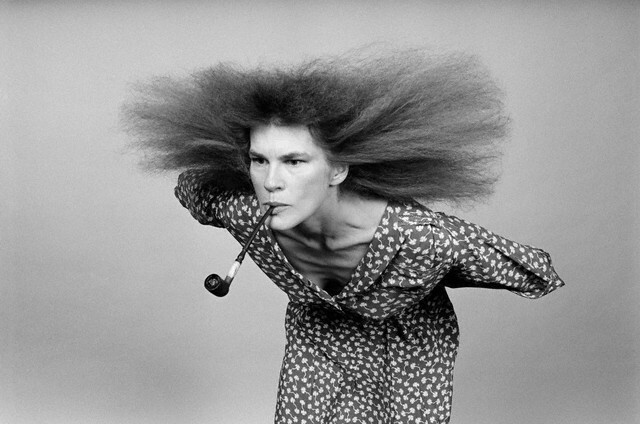 Yet, composer Carla Bley came along in the late 60s to show us new ways to compose and incorporate many of the sounds percolating through the culture. Her first act was to bring into jazz, long vaunted as a pure-performance art, the visceral power of rock and its fascination with studio-production technique, including some of the emerging baubles of recording technology. How much of this importing ended up compromising Bley’s early jazz output is up for argument. But Bley’s knack for the unconventional would become evident quickly, and her first two major releases would act as proper introductions to the pianist and composer. It’s at the pop cultural crux of the late 60s that Bley’s career took shape. Bley began in the mid 60s, composing and performing in various outfits in New York City. After composing a bit for the Jazz Composer’s Orchestra collective in 1968, and contributing to Charlie Haden’s Liberation Music Orchestra in 1969, she began work on her own larger-than-life release, Escalator Over the Hill, with Paul Haines. The record was released in 1971 as a “chronotransduction”, a jazz opera accompanied by the spoken word poetry of Paul Haines. The work spanned three LPs, included 35 musicians, and took nearly three years to complete. It includes an ambitious amalgam of operatic theater music, avant-garde jazz, Indian raga, and rock. Cream’s Jack Bruce contributed, as did John McLaughlin, Don Preston, and Charlie Haden. The physical album itself was an indulgent triple-LP boxset, with lyric booklet, session photos, and locked grooves on the records. It was an elaborate statement piece, and at times came off simply as avant-garde ostentation. Yet Bley, after meticulously parsing all of the influences floating around her at the time, seemed able to reorganize them into these bold compositions. Here was this young composer presenting us new ways to think about what jazz composition could be. Bley was able to absorb the musical environment of the late 60s into this music. Escalator Over the Hill (EOTH) stands as a culmination of many of the trending sounds of the late 60s and early 70s, and writer Stuart Broomer considered the record to have “summed up much of the creative energy that was loose between 1968 and 1972.” The record preserved that time, with all of its eccentricities and experiments, in a triple-LP boxset amber. She followed this with her first official solo release, Tropic Appetites. Here we find Bley pruning the eccentricities of the prior release. Instead of a full jazz orchestra, the band is an octet, with vocals handled by singer Julie Driscoll. Nearly none of the jazz opera’s cast members are present, aside from Paul Haines and her core group of bandmates. Haines’ poetry on this record was influenced and sourced from the same transcendental experiences in southeast Asia that inspired his lyrics for EOTH. Tropic Appetites captured much of what was floating around Bley’s environment at that time as well, but was inspired more by the music scene in the New York City area in particular. The Loft jazz scene had begun there, continuing the free jazz and avant-garde jazz traditions in New York in a time that jazz’s future in the city was uncertain. Bley’s marriage of free jazz conventions with unorthodox instrumentation is a benchmark of that movement. The cycling piano line and repetitive figures on “What Will be Left Between Us and the Moon Tonight” sound Steve Reich-influenced. Some of the leftover psychedelic bricolage from EOTH can still be heard here; Bley’s grafting of westernized ragas even sounds Beatle-esque. Tropic Appetites is no doubt a pared-down companion to EOTH, but the bold synthesis of Bley’s influences on both records provide us an insight on how Bley perceived the musical landscape around her. Both of these records were derived from the same creative period in Bley’s discography. Not only does the surreal and often bewildering poetry of Paul Haines run across both releases, but the incorporation of world musics and prog-rock tendencies are consistent between the two. Together these projects properly introduce us to Bley. She’s clever, witty, and ambitious. She never recognized the boundaries that genre convention or traditional jazz-composition defined. These early recordings foreshadow all that Bley’s career would become. Nothing would ever be quite as grandiose as Escalator Over the Hill, but Bley would continue to write and record for small group and big band consistently as one of the most ambitious and unorthodox composers of our time.